On Saturday 10th June the Malta Polo Club will hold the most prestigious and final match of the Club’s playing season – the ‘Cawnpore Cup’ – A trophy first contested in 1901, at Cawnpore India, (the site of the infamous “Cawnpore Massacre” in 1857) some 117 years ago. Gifted to the Malta Polo Club in 1947, the Cawnpore Cup has been played for annually with the exception of the war years. The highest handicapped polo players in the Club are eligible to play in the Cawnpore Cup, and this year’s teams present a fine selection of the Club’s best players. 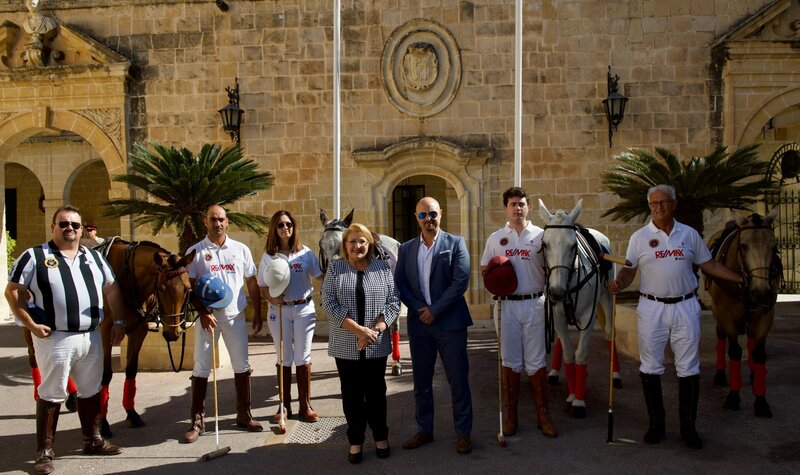 The Malta Polo Club will be honoured by the presence Her Excellency Marie-Louise Coleiro Preca, President of Malta who will present the Cawnpore Cup to the winning team. The Club expects a record attendance of distinguished VIP’s and invited guests and the match will be followed by the presentation of the Cawnpore Cup to the winning team, with awards for Most Valuable Player and Best Playing Pony. The Malta Polo Club is also privileged to once again support the Malta Community Chest Fund Foundation / Solidarjetà bl-isports 2017, with fundraising throughout the event. As in previous years the generosity of attending patrons, guests and club members is expected to raise an impressive sum for the charity. Malta Polo Club continues to support the MCCF Foundation during the 2016/2017 Polo Season.